My father worked for British Aerospace for 50 years. During the span of his career he kept a series of small journals, or diaries. Some of them had the weather for the day, or a note about the kids, but he believed that keeping a written record helped him focus and was an important part of his day. Side note: He also refused until his final work day to use a computer – he is a bit of a legend in our family! 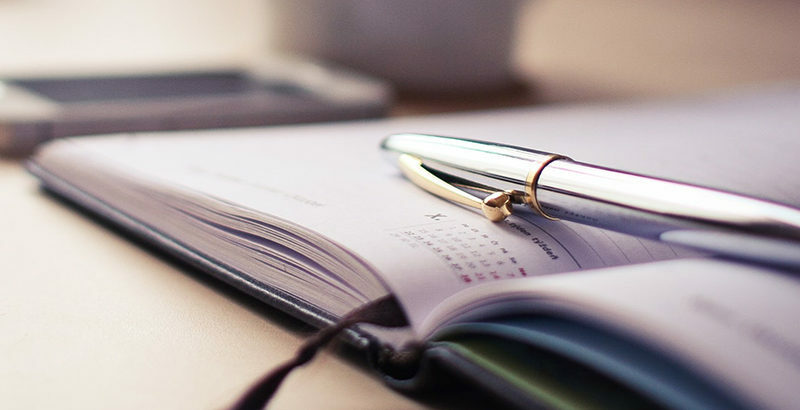 Dad might be retired, but the value of his consistent journaling remains true and applicable today (even if we embrace technology a little bit more than Pop). Whether you are an accountant, tax preparer, or other accounting or tax professional, taking a few moments of time for yourself early Monday, before chaos takes hold, should be a given. While this may require developing discipline and new habits, taking advantage of the calm before the storm allows us to organize our minds and thoughts in preparation for the week to come. In my opinion, the best tool to focus these thoughts is a written or digital plan, split into list or grid format, and that plan should be one that you prepare habitually and routinely each Monday, early, while you drink your first coffee (or second, depending on whether you work from home or not)! Having a habit like this that you keep can be a form of meditation, and a way to clear your thoughts and to gain a measure of your accomplishments through the week. You can keep this plan as a grid, a list, in an Evernote notebook, Word, or a piece of paper – however you’d like to keep it. Bullet journals are popular at the moment, and they follow many of the same principles. The point is that you complete this exercise regularly, every Monday, like clockwork. You’ll be surprised how once you create a habit of it, the chance to work on your weekly plan becomes a fun and relaxing exercise. A colleague of mine is a tax accountant at a local CPA firm. Missing tax deadlines because of a messy schedule cannot just cost you your peace of mind, but can create opportunities for penalties for the client as well. “As a tax accountant, managing my time is crucial because clients depend on us to get projects completed timely and in an order of priority consistent with the due dates. If deadlines are not met, clients could incur penalties and interest on late filings that could be a significant dollar amount. Managing the hours in your work day to make sure you have responded to communications from clients and then dedicate time to completion of projects is crucial. We have to maintain focus on objectives and not allow outside factors to deter us from our end goals for the day.” – Laura Tosti, Tax Manager, Hobbs, Crossley, Benefield & Craven, P.A. Even if you have some of these items in a practice management software or customer relationship management (CRM) software, revisiting them during this exercise will refocus them as priorities for your week. Or, just enter “Filings” instead of listing each one. You can be as granular or generic as you want, as long as the points are actionable and have a duration assigned to them. The points of review can range from the mundane, like errands to run, to the gears that keep your business going, like open accounting items due for clients, CPE to complete, or marketing tasks to take care of. Some of the items I try to organize for myself are below. These are just ideas – try and see what works for you. You will also catch yourself adding and subtracting subjects from this list through the weeks. That’s ok! Outstanding tasks. Whether they are in a CRM, in your email, a practice management software, or in your head, one of the biggest mistakes we can make is misallocating time to complete our tasks. Maybe you plan to knock out that client project, but in reality it will take 10-12 hours. That filing you meant to get to a few days ago is now still incomplete, and the deadline is looming. Where did the time go? In most cases, accountants place heavy importance on the concrete commitments, and fail to allow time for the client fire that gets called in at 3:30, right as you sat down to complete that tax filing. It may not take long, but starting the task is many times the hardest point to get to, and planning in advance for pop up items can help you allocate your time accordingly. Plan to 70% of your week. Leave 30% for the fires, and get your deadlines behind you! Errands and trips. Whether it is visiting a client, or running to Office Depot, make sure you place time in advance for travel & preparation. Never enter a meeting unprepared. Give yourself the gift of time to make sure you are prepared, fresh, and on-time. For web meetings, I like to allow 30 minutes whenever possible to review the agenda and make personal notes beforehand. If you jumped on the call at the 11th hour (or 59th minute!) and didn’t review the agenda, people will be able to tell. More importantly, your client will be able to tell. Always prepare. Goals. Whether you are trying to learn a new software, complete some CPE, or read a book, make sure that you are not being reactive with your time. Set aside time to work on your goals. It helps prevent burn out, and makes sure you don’t become stagnant in your life or career. Leaving your CPE until the end of the year or term is always a bad idea, and budgeting your time to allow for completion during slower periods is always a good one. Open customer service items. Reacting to constant fires is not success. Preventing some of the fires, and handling the rest before they become emergencies is. That small customer issue that gets called in on Monday is unexpected and means some calls. Leaving it to later because it is a small problem at the time sends the message that you don’t care about resolving your client’s issue. Handle the problem on time. To do so, you need to plan accordingly. The most important thing you can do is to be able to count your To Do’s as done at the end of the week. Too often we just count them as worked on, which means they are still To Do’s for next week. You can quickly see how this is not a sustainable solution! Is this exact? Of course not. My Monday is the other side of the moon compared to my Friday. However, most days follow a pattern, and when these numbers start to get little nuts, I know it’s time to get help by delegating or prioritizing what I have to do, and what I want to do. My heart hurts when I see a new accountant who is missing out on personal time because they want to take care of their clients, and they never reach the end of the to dos. By completing your plan you can see where your shortages are early, and can plan ahead. We don’t know if we are short on time if we don’t put pen to paper, or finger to keyboard. The more you plan to be prepared, the more you will be. If you need help, get it. Delegation > burnout every day. 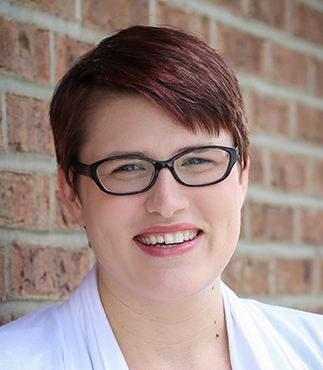 Katie Bunschoten is the Founder and President of KHBOffice LLC, a bookkeeping and QuickBooks Premier Reseller practice operating outside of Charlotte, NC, and is a member of Intuit’s Trainer Writer Network. When not writing about QuickBooks and small business or coaching her small KHB team, Katie and her family can be found hiking the nearby North Carolina trails and planning their next beach trip.